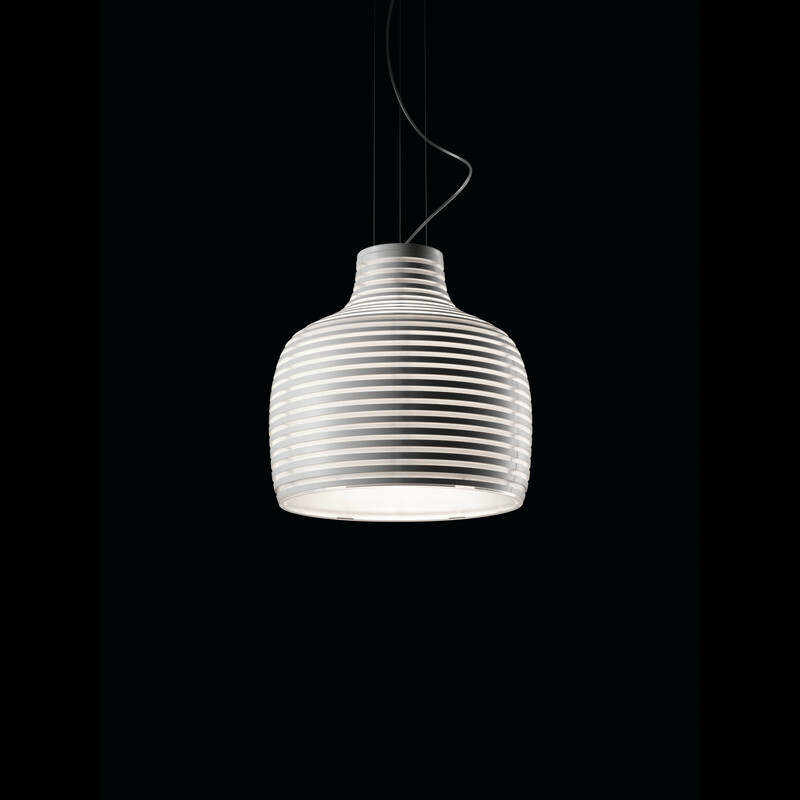 The Behive Sospensione by Foscarini is a creative and seemingly pendant light. The designed by Werner Aisslinger in 2012 lamp shape refers to a hive. Even by their unusual shape alone pierces the Behive Sospensione eye. If one switches but their light propagating from the interior of the basket down, thus giving you a truly magical play of light. The Behive Sospensione produces a black and white pattern in which light and shadow intertwine. The Behive Sospensione pendant light simultaneously connects it a pleasant illumination, with an enchanting highlighting their own design elements.